The latest laws coming out of the EU headquarters in Brussels seem to be taken straight out of the discourses heard in New York’s trendiest hipster neighborhoods (such as Brooklyn’s Williamsburg). Corporate social responsibility (CSR), that is, new rules for the environmental and social footprint for companies with 500+ employees; organic farming and Monsanto bans; scrapping of tax heavens; capping banker’s bonuses; better rights for minorities (Germany now formally recognizes a third gender); better support for renewable energy – the list goes on. The EU even scrapped tariffs with Peru and Colombia under the condition of improving unions’ rights in those countries. Is this too good to be true? Does anyone notice what is happening? Will tomorrow’s generation live in heaven on earth, as prescribed by Williamsburg’s hipsters and voted into regional law by European politicians? Heck, should I move to Europe? The European Commission set an ambitious timetable in 2011 for adopting new regulations aimed at improving the social and environmental impact of big corporations. A new directive proposal requiring disclosure of non-financial information was initiated by the Commission in April and sent to the “houses” (the Parliament and the Council of Ministers) for debate. If adopted, it will force companies with more than 500 employees to report on their impact on society and environmental sustainability. The directive also requires increased diversity on the boards of such large corporations (better oversight of management, governance, and handling of innovative ideas), as well as reporting on human rights, anti-corruption, and bribery matters. It is also an attempt to combat “greenwashing” (misleading marketing related to the environmental impacts of products). The proposed directive was met with mixed reactions. NGOs are complaining that the directive does not go far enough, while business leaders say that it will hurt competitiveness. The EU has already implemented a CSR Award Scheme, and the first 63 winners were announced at the inaugural Brussels ceremony in July 2013. The directive is part of a larger EU legislative package called the “Single Market Act,” which intends to complete integration of economies of member states and offer enhanced business competition and better choices for consumers. In Europe, labeling of Genetically Modified Organisms (GMOs) in foods is mandatory. Just like most Brooklynites, European consumers favor organic food, and that is mirrored in EU law. In the US, a provision to protect biotech companies such as Monsanto from lawsuits was mysteriously slipped into a bill passed by Congress. In the face of mounting public criticism of GMOs and long delays in the approval process, Monsanto dropped its bid for new GM crops approval in the EU. The EU allows only a few genetically modified crops such as Amflora potatoes and MON810 maize (corn) for cultivation. Since 2010, member states can ban GM crops altogether without having to justify any potential health hazards scientifically. Six countries (Austria, France, Greece, Hungary, Germany, and Luxembourg) have chosen to do so, establishing GM-free zones. The EU bans imports of GM food from other countries. Sometimes, it does so at great cost. In 1996, the US and Canada have complained at the World Trade Organization (WTO) about the EU ban of beef imports from cattle raised with growth hormones; the Americans argued that the ban is a protectionist measure, as science has not proven that GMO foods are a health hazard. The WTO ruled in favor of the US and Canada; however, the EU stood with its decision not to allow those imports. In return, the EU was sanctioned with increased tariffs on some EU agricultural exports to the US and Canada. Corn imports had a similar story. The EU stopped importing genetically modified corn in 1998. The US, Canada and Argentina complained in 2003 at the WTO and received a favorable decision in 2006. The EU did not comply with that ruling either, prompting calls from US farm groups for retaliatory measures. The EU has also stepped up its efforts to stop the Colony Collapse Disorder, the phenomenon in which honeybees die in large numbers. The European Food Safety Authority (EFSA) concluded that the bee decline is caused by the use of neonicotinoid insecticides and the European Commission sent a law to the Parliament and the Council to ban them. Bayer and Syngenta, the biochemical corporations that are manufacturing those pesticides, opposed. Syngenta even threatened to sue individual EU officials involved in publishing the damming report. The British government sided with Syngenta and Bayer in opposing the EU ban on neonicotinoids, defying its own citizens (polls show 71% public support in Britain for the pesticide ban). The British led an effort to stop the ban and the measure passed with a simple majority only. Since EU law requires a qualified majority, the Commission decided to issue only a temporary ban. In the US, beekeepers sued the Environmental Protection Agency (EPA) for still allowing the pesticides. But a legislative proposal to ban neonicotinoids was recently introduced by Democratic lawmakers. 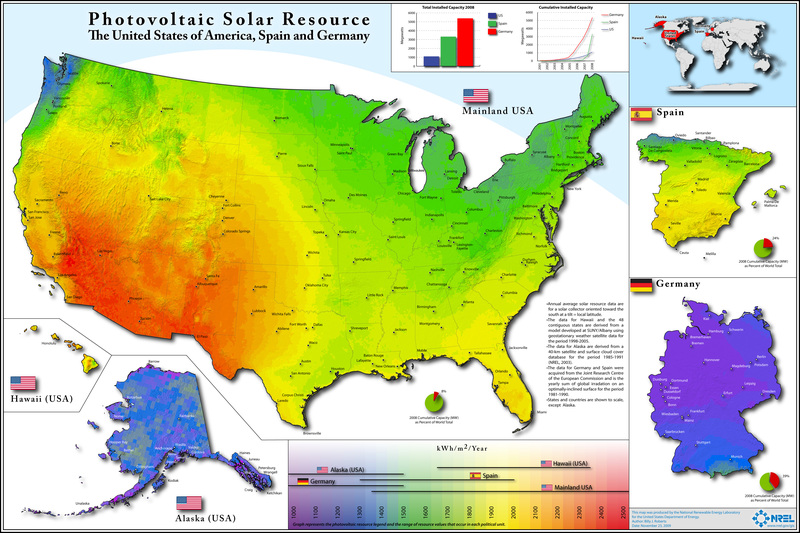 If you watch Fox News, you know why solar energy is more successful in Germany than in the US: because Germany gets more sun that America. True story. Ok, it might be that besides subsidies, a sound policy for feed-in tariffs works. But that hasn’t happened in America, at least not at the Federal level. The EU has set up legislation to support its ambitious goal to have 20% of its energy needs by 2020 sourced from renewables. A European directive is a binding legislative act that sets a goal, letting each member state choose a path to reach it. For example, the EU Directive 2009/28/EC sets the 20% green energy goal by 2020. There are other directives, regulations, decisions, opinions, and recommendations, along with funding, to help member states reach that goal. The first report on the progress of member states converting to green energy shows that as of 2012, 13 member states are above the interim targets, and 12.7% of the EU’s total energy currently comes from renewables. Germany is the leader of the Energiewende (“energy transition”). Among several items Chancellor Merkel hijacked from the platform of her opponents, the Social Democratic Party (SPD) and the Greens, is the anti-nuke agenda. In the wake of the Fukushima disaster, she closed eight nuclear power plants and vowed to close the remaining 14 by 2022. In 2011, the country passed the 20% mark in green energy use. Out of that share, 20.7 billion kilowatt-hours (KWh) representing 7.5% was from wind farms and 3.5% from solar energy. Germany’s total energy needs have remained steady at 275.5 billion KWh since 2010. The Energiewende comes with a price. The electric grid needs to be updated, and around 2,800 km of high-voltage transmission lines have to be added just to reach the 2020 goal. Subsidies and incentives to build renewable energy projects are passed down to consumers, and higher tariffs for owners of green energy projects are imposed for 20 years. A spike in solar panel installations proved to be too costly, with the government paying out more than €8 billion in subsidies in 2011 alone, despite the fact that they produced only 3% of Germany’s electricity needs. Germany doesn’t get that much sun after all. As a result of the feed-in tarrifs, households saw a spike of 11% in energy bills in 2013. Merkel called on cutting some of the green energy subsidies. However, European Energy Commissioner Guenther Oettinger warned that this move will hurt investor confidence. It remains to be seen whether policies and subsidies change after the September 22 election. The estimated cost to shift to green energy is about €500 billion. If Germany is financially sound and can afford to invest in renewable energy, things are not the same with crisis-ridden Spain. The renewable energy boom from 2007 to 2012 accumulated a tariff deficit (the difference between the actual price of energy and the extra money the government pays for green energy) of €26 billion, prompting the Spanish government to cut some of the feed-in tariffs. A similar situation is developing in Romania, one of EU’s poorest countries, where private companies built more wind turbines than in any of its neighboring countries. The generous subsidies led to skyrocketing utility bills to consumers, which prompted the government to roll back some of the subsidies and stop issuing green certificates for new projects. ČEZ, the largest private investor, complained to the European Commission about loosing promised profits. Romania is also seeing a boom in micro hydro power plants, especially in the Danube delta and in the Fagaras mountains. Fifty-three such plants hastily built in the mountains are destroying river beds, which are habitats for several endangered species, according to green activists. Between four and five hundred such micro plants are either planned or in various stages of completion across the country. Solutions for preserving biodiversity and the hydro plants require additional investments and enforcements. In spite of various difficulties along the road, the EU has taken the plunge in renewable energy, and can hardly go back. The promise of greater things to come, if not by 2020, at least by 2030 or 2050 (when green groups envision a Europe with 90% of its energy derived from renewable sources) might just become reality. Should you move to Europe or wait until the extra tariffs paid to operators of renewables will expire and citizens can afford to pay their utility bills again? The Cyprus bailout opened a Pandora’s Box when it exposed one of Europe’s tax heavens. A tax heaven combines two main ingredients: bank secrecy and low or inexistent taxes on interest for businesses or individuals. The raison d’être for a tax heaven is tax evasion and fraud. Cases such as Apple using a scheme in Ireland to avoid paying taxes left European officials scrambling for solutions to deal with corporate tax avoidance. In 1989, Apple paid $ 500,000 tax in Ireland on $ 317 million profits at a rate of .02%. The company is currently routing all international sales (60% of its total sales) through their Irish subsidiaries and hasn’t paid any tax in the past 5 years, according to Forbes. Another high profile example is the case of Uli Hoeness, the president of Bayern München soccer club. He turned himself in voluntarily, admitting that he had been hiding money for years in a Swiss bank account. Prosecutors calculated that he owed $3.2 million in taxes, which he paid. It is estimated that member states are loosing €1 trillion in tax revenue each year due to loopholes and fraud. The biggest tax fraud happens on Greek islands. European tax heavens are diverse and cater to specific niches, according to a study by Deutsche Welle. The first step Brussels took to close some of the loopholes, was to convince member states to do away with bank secrecy. The last state to do so, Austria, was finally persuaded to end bank secrecy rules with one year of grace. For its part, David Cameron also stepped up efforts to clamp down on tax evasion in Britain’s overseas colonies, infamous tax heavens such as the Virgin Islands, Cayman Islands, Bermuda, and others. The ownership of bank accounts in those territories, along with details on how those bank accounts are used, will be shared with the European Union. No matter how good, no policy will end tax fraud. In May 2013, the European Parliament adopted a report that calls for halving that trillion Euros in uncollected tax per year by 2020. A new free trade agreement between the EU and Peru and Colombia took effect in August 2013. The agreement is conditioned by improving labor rights in the two Latin American countries. Over 2,000 trade unionists were assassinated in Colombia since 1991. A supervisory committee including Members of the European Parliament (MEPs), trade unions and human rights groups, will oversee the implementation of the labor rights provisions and scrap the agreement if serious violations reoccur. Is Europe keen to export its generous welfare and job protection system around the world? EuroPoint: Timothy Garton Ash called for a new discourse to inspire European citizens “once again to believe in the dream” and be “given a sense of direction, purpose, and hope” for the European Union. I agree. A greener, cleaner EU with an excellent social responsibility record is a dream worth dreaming. Let’s just hope that the European hipsters don’t go bankrupt overnight.